Your big day is almost here and there’s one big decision you still haven’t made – what your bridal entry going to be like? You might think it’s pretty straight-forward but with the options available to the 2019 bride, you should have a look at this comprehensive list before you make your pick. How do you want to enter? Sitting in a palki, under a pretty phoolon ki chadar design or on a bike – these are just a few examples of the otherwise endless options you have! What elements can you add to make it extra special? Dancing, with pandits chanting or people showering you with petals are a few options. What’s your bridal entry song going to be? Romantic, filmy, English or a dance number. The first few ideas include the use of signboards. If they’re carried by your nieces and nephews, it really adds to the cute factor 🙂 Balloons and flower girls replaced by flower boys are some of the other cute ideas! The bride’s besties carried black and photographs of the couple’s dating period (with the year written on each photo). 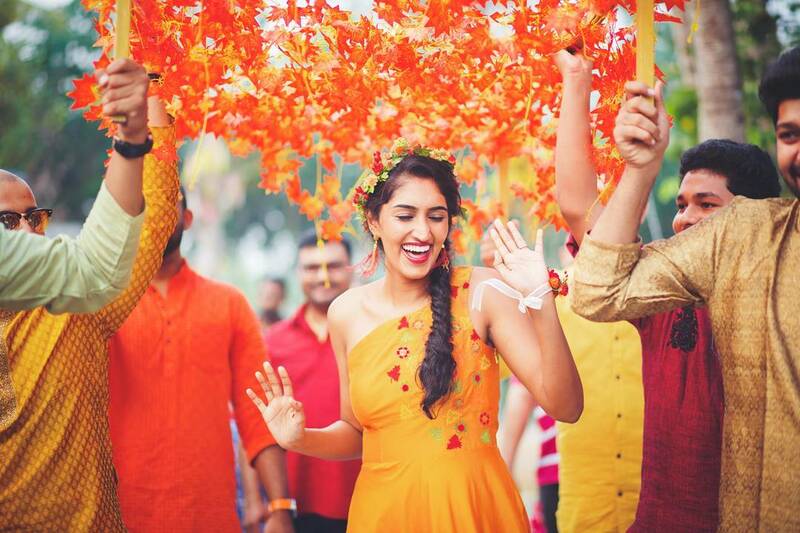 Then, the bride’s sister stepped out holding a sign that said “The Best Is Yet To Come” and finally, the bride walked out under a gorgeous baby’s breath phoolon ki chadar held by the men in her life. This is also a great way to include all your bridesmaids and “bridesmen” in the entry! If it’s a small lake or swimming pool, use a small boat and just sit and relax as you make your bridal entrance. If you have access to a bigger water body, you can pull off an entrance idea that includes your entire bridal party since everyone can get onto a bigger boat. ProTip: For added drama, hold up your dupatta-veil as you step off the boat! (v) In a carriage-style palki that has bells & cold pyros going off! ProTip: We loved this idea of a palki that has wheels so that it can easily be rolled on the ground! You can choreograph a specific routine with your female and male friends, siblings and cousins! Or just break out into an on-the-spot dance when you enter. ProTip: Inform your videographer what you have planned so they can place their team at the right spots to capture it from all angles. 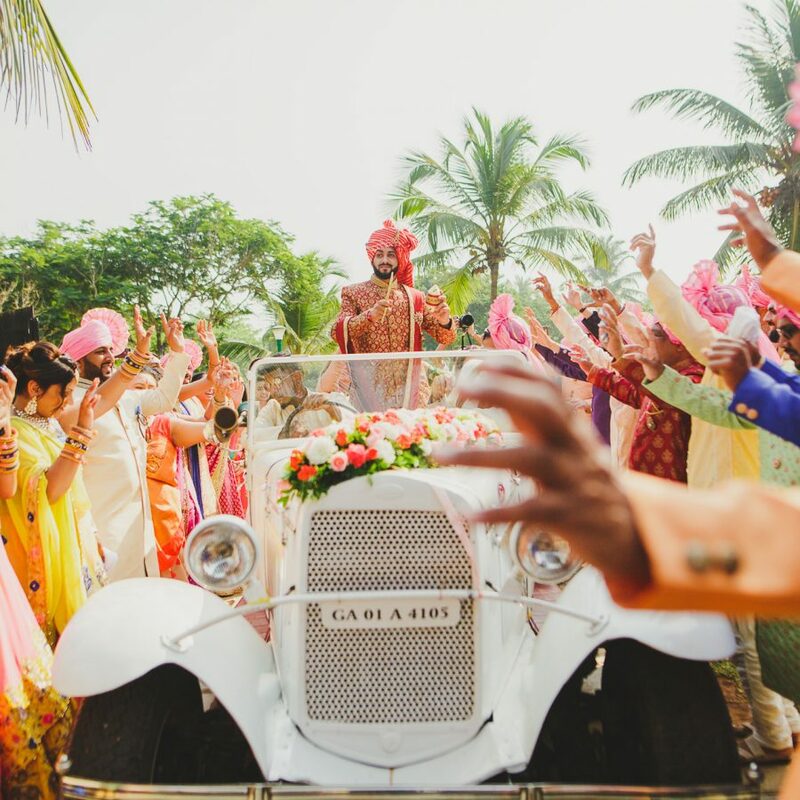 (ii) With your own baraat! (iii) Or a cycle rickshaw! ProTip: Make your bridal entry even cooler with your bridesmaids riding scooters before your car! #ProTip: A bouquet of flowers in the bride’s hands will add the right touch! If it’s a small wedding affair where only a small number of your closest friends and family is present, you can do what Anushka Sharma did at her wedding. She walked the short aisle alone as Din Shagna Da played in the background and it looked just beautiful! Do I Have To Pick Only One Idea? NO! You can absolutely mix and match a number of elements to find your ideal bridal entry. For example, you can start off with having your bridesmaids hold up a sign that says “Just Wait Till You See Her” followed by your nieces walking out in floral tiaras throwing petals around (like little flower girls) and then you walking out under a beautifully designed phoolon ki chadar holding your father’s hands! 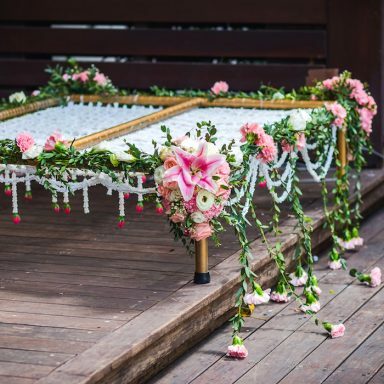 Any Good Ideas On How To Make An Entrance On Other Wedding Functions? Yes, how you enter on your Mehendi function is also a “thing” now! 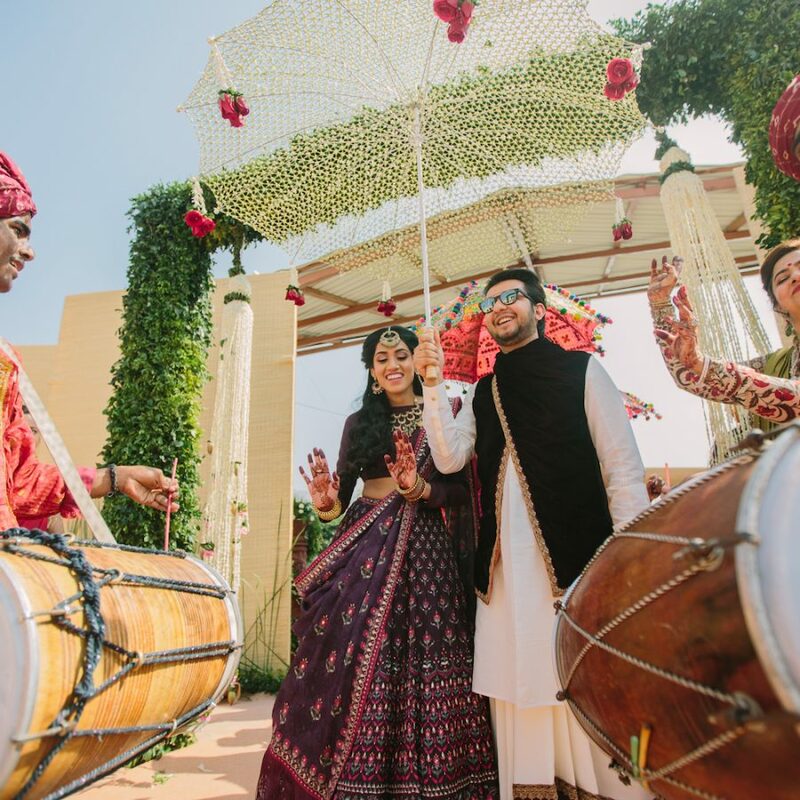 Here are the best Mehendi entrance ideas for brides. If you’ve found your bridal entry idea, go pick your bridal entry song! Or help your husband-to-be find his groom entry idea. 2 9 Dusky Bridal Makeup Looks That Are Young, Fresh & Fabulous!